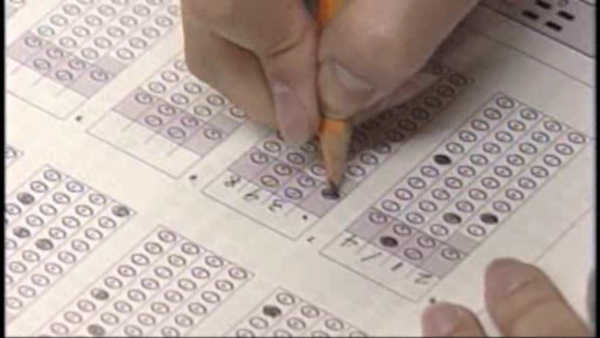 NEW YORK -- New York City education officials say the city will offer the SAT exam free of charge to public high school juniors. Schools Chancellor Carmen Farina announced Monday that the move will give students from low-income families an equal chance to take the standard college entrance exam. To further ease the process, the free-of-charge tests will be given on school days rather than on Saturdays when families may have other obligations. The College Board now charges about $55 to register for the exam. Ninety-two schools with about 15,000 students will participate in the SAT initiative starting in the spring of 2016. Citywide participation will start the following year. To facilitate the transition to the SAT School Day, the Department of Education piloted SAT administration during school to 6,000 students at 40 pilot schools in Spring 2015. 92 schools will participate in the pilot SAT School Day in Spring 2016 - approximately 15,000 students. These pilot years will ensure smooth implementation of the citywide SAT School Day in Spring 2017. As part of the transition, the PSAT School Day, through which sophomores and juniors take the exam each October, will become part of the new SAT School Day: sophomores will now take the PSAT free of charge on the same day juniors take the SAT in the spring. Education officials say the expected yearly cost to the city of the so-called SAT School Day is $1.8 million. For more information on College Application Week, CLICK HERE.